There are 3 projects in total which are located in Sector F-17 Tele Gardens, B-17 Multi Gardens and Islamabad Gardens Sector E-11/1 Islamabad. The land being illegally advertised for CNG/Filling station project by MPCHS in Tele Gardens F-17 is actually approved for Community Center & Green Area. The land approved for Apartments in MPCHS B-17 Block C is being illegally advertised for Five Star Hotel Project. 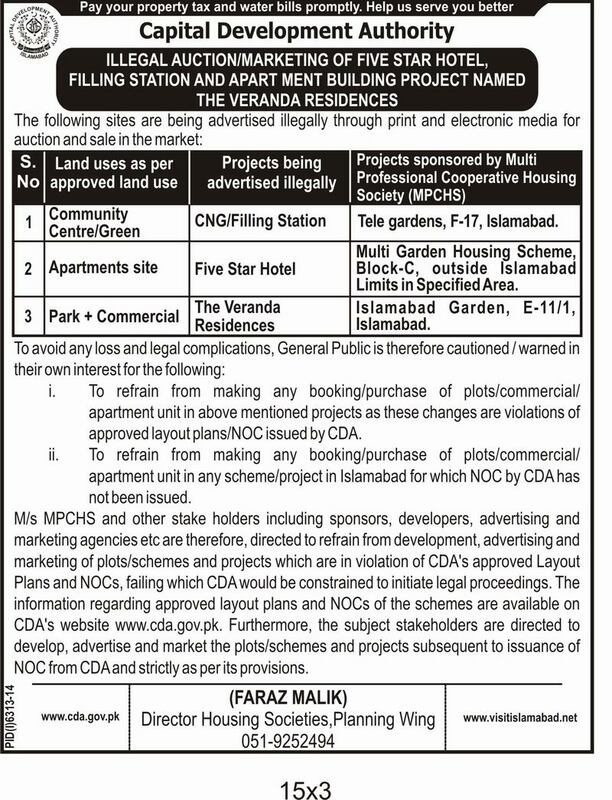 The land approved for Park + Commercial in Islamabad Garden, E-11/1 Islamabad is being illegally advertised as the Veranda Residences Project. 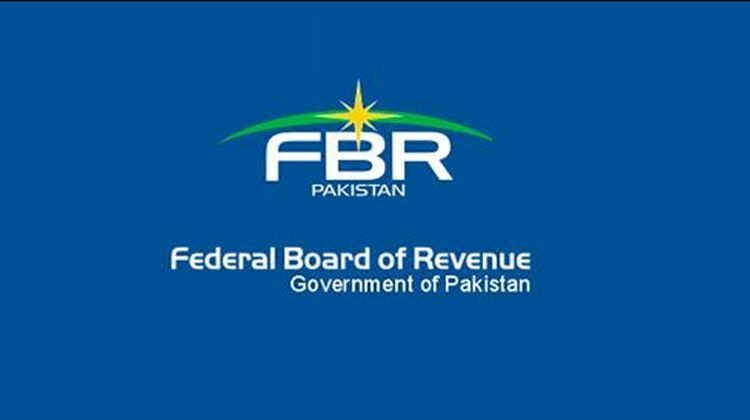 CDA warns general public to refrain from booking/purchase of plots, apartments, commercial units etc in the mentioned projects in order to avoid any loss and legal complications as these changes are in violation of approved layout plans/NOC issued by CDA. CDA has also directed M/S MPCHS to refrain from advertising these projects failing which the authority will be constrained to initiate legal proceedings.